If you’re a dog owner, you should put at least a basic collar (also known as a flat collar) on your dog. Your dog should also be wearing a collar with ID tags at all times. Collars are great… but they are NOT always the best choice for all dogs! 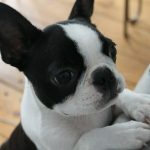 Do you use a collar and / or a harness with your dogs? 🙂 Please SHARE and ANSWER the poll which is in the middle of this page! What are the Advantages of the Collar? 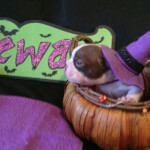 Collars are convenient, they can stay on the dog all the time because of their size. Collars are a quick way to keep your dog identified and controled with a minimum of gear. Collars are great to hold your dog’s ID tags. 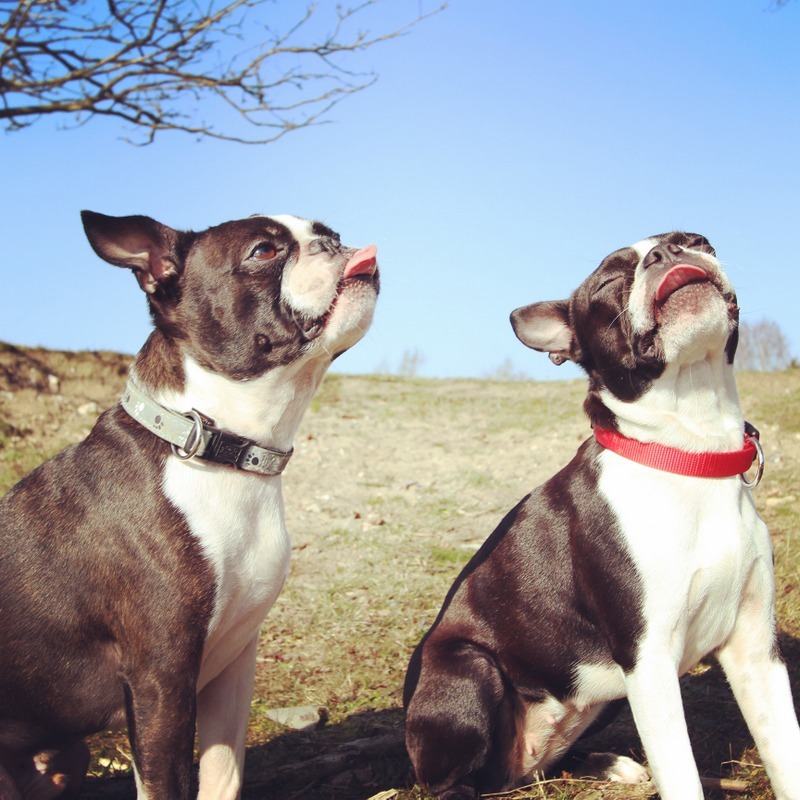 If you are only using a regular collar, your dog may be at risk for neck or trachea injuries. For exemple, if your dog is pulling on walks or if suddenly he or she see and chase a squirrel or another animal. What are the Bad Collars? 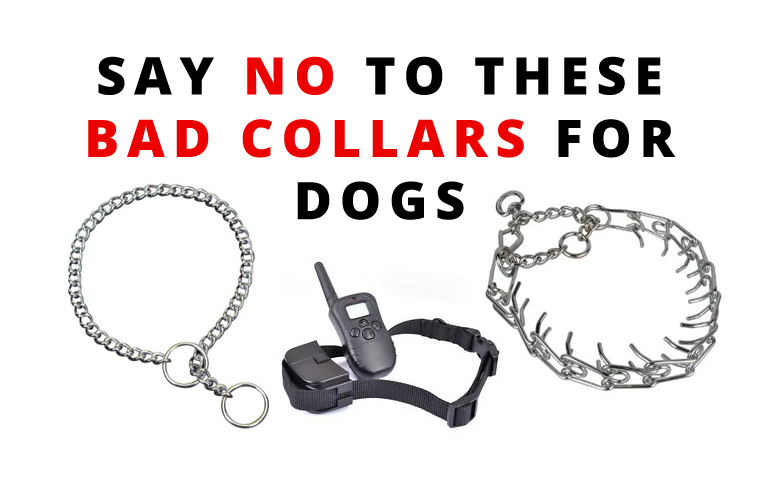 The bad ones are the choke collars, prong collars and shock collars. These type of collars are mainly used to cause pain to dogs. We believe there are more positive ways to train without causing pain to your dog to get his/her attention… Please SHARE the following image if you believe it too! 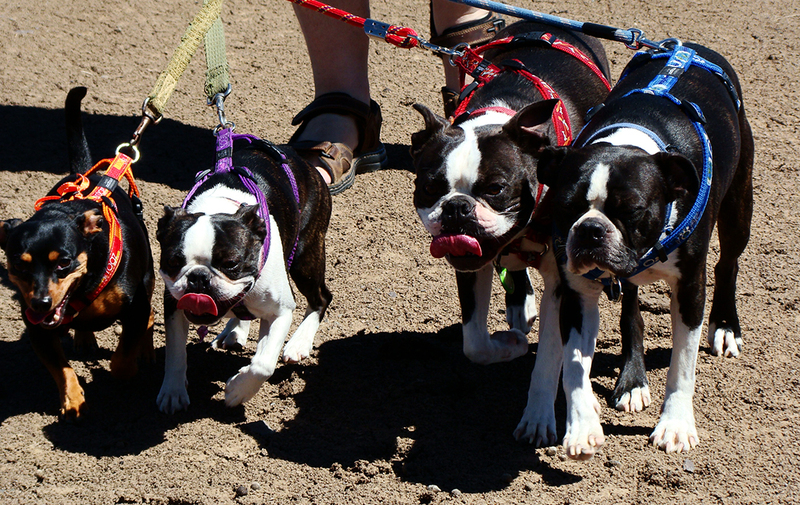 Harnesses are Now a Popular Choice for Dog Owners! 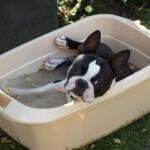 The Harness is now a popular choice for many dog owners. More and more dog owners are now using the harness because it doesn’t put strain on the neck and throat which can potentially be harmful over time. 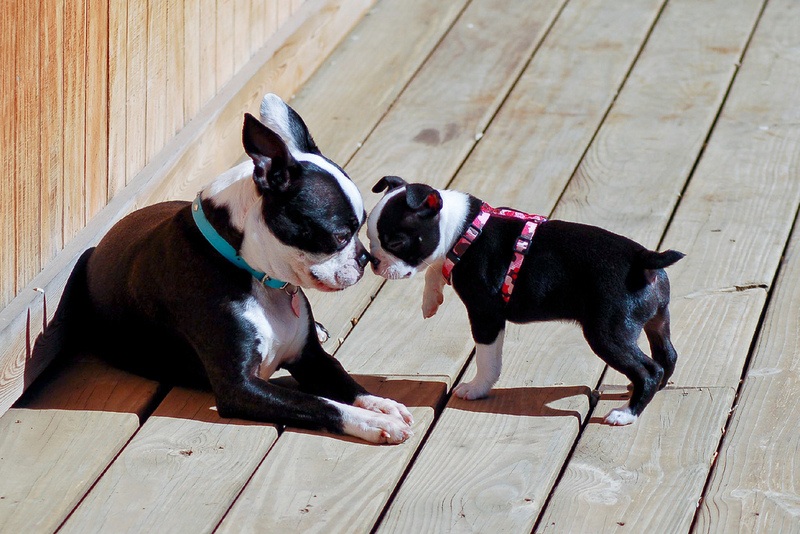 Dog breeds with short muzzles, like the Boston Terriers, benefit when they use the harness because they usually have more trouble to breathe than other dogs with the long muzzles. Do you use a collar and / or a harness with your dogs?